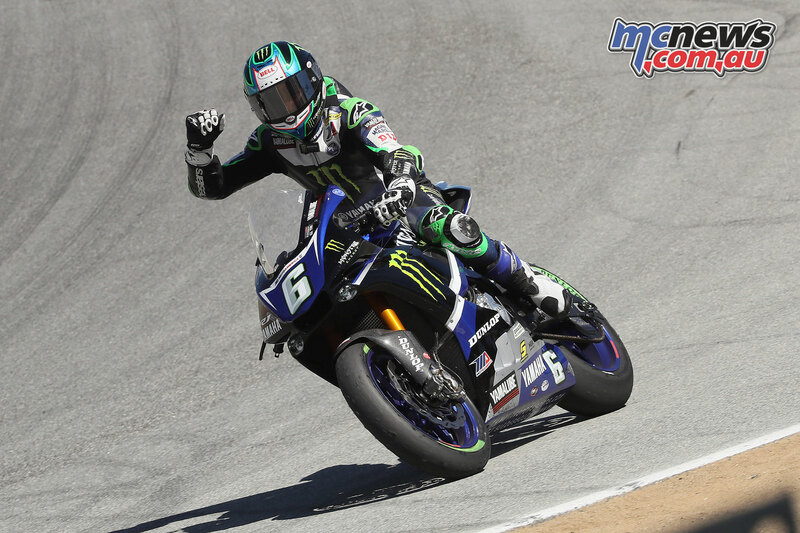 Cameron Beaubier has turned his 2018 fortunes around, recording another two race wins to his name, this time at Laguna Seca, which was run alongside the WorldSBK round. This leaves him 29 points clear of Toni Elias, with five rounds remaining. Meanwhile in Supersport JD Beach won the weekend’s race, with Jason Madama the Twins Cup victor, and Alex Dumas the Liquid Moly Junior Cup victor. 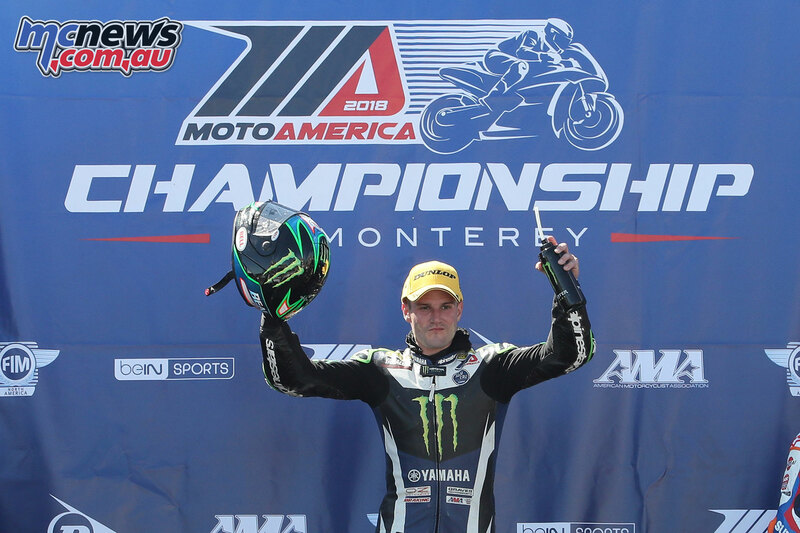 Race 1 at Laguna Seca marked Cameron Beaubier’s third straight win, taking a strong hold on the championship lead, and making the most of the sunny conditions for some great racing. 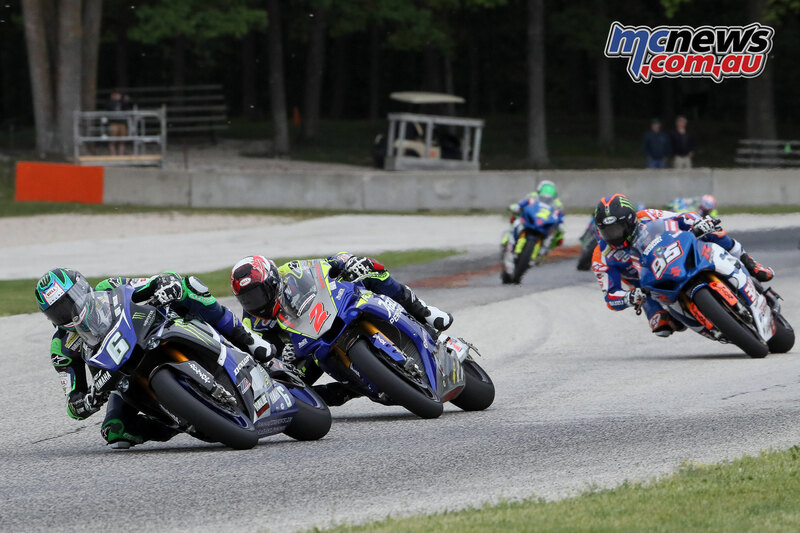 Beaubier, who won the Motul MotoAmerica Superbike title in 2015 and 2016, beat early race leader Josh Herrin by 5.403 seconds with the rider exhausted after taking part in both the MotoAmerica and World Superbike races on Saturday. 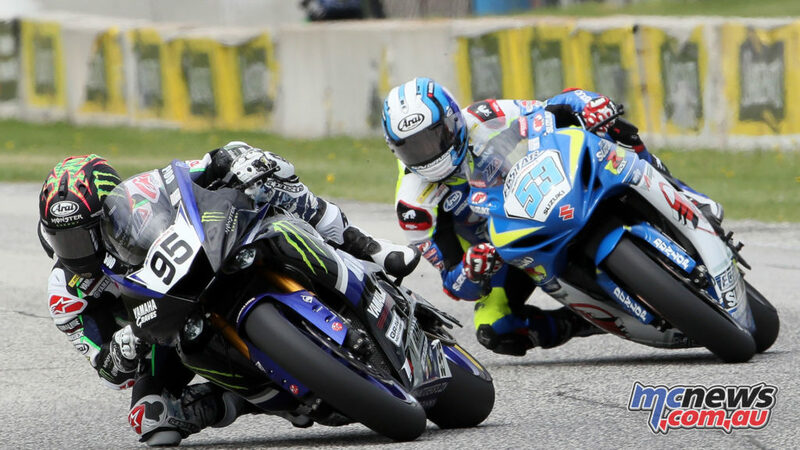 For Beaubier, it was win number three on the season and win number 27 of his Superbike career. 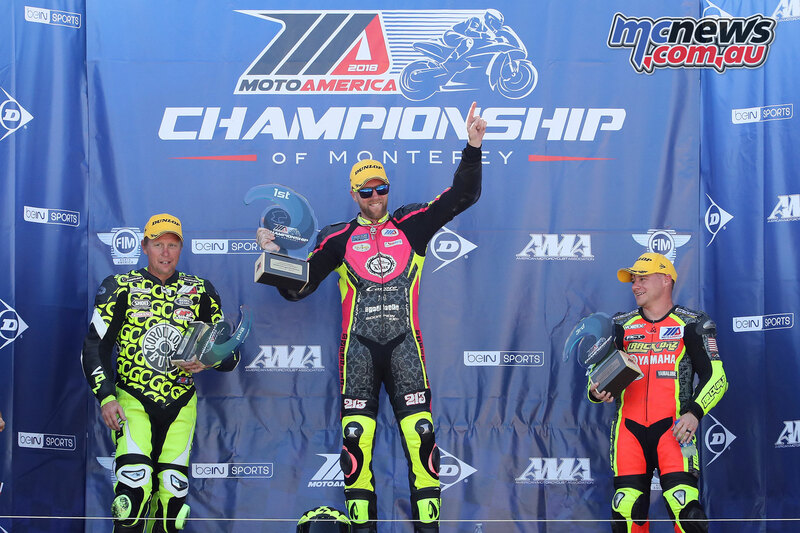 He is now one short of tying Ben Spies for fourth on the all-time Superbike win list. 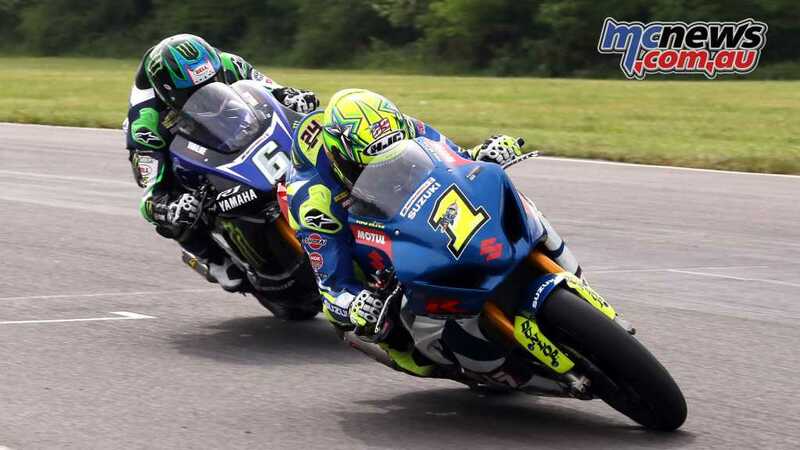 In addition to winning on the racetrack, Beaubier also won big in the championship as his rival Toni Elias crashed his Yoshimura Suzuki twice in the race, ending up 14th and earned just three points. Beaubier, who started the day two points ahead of Elias, is now 24 ahead, 178-154, after taking home the maximum haul of 25 points. 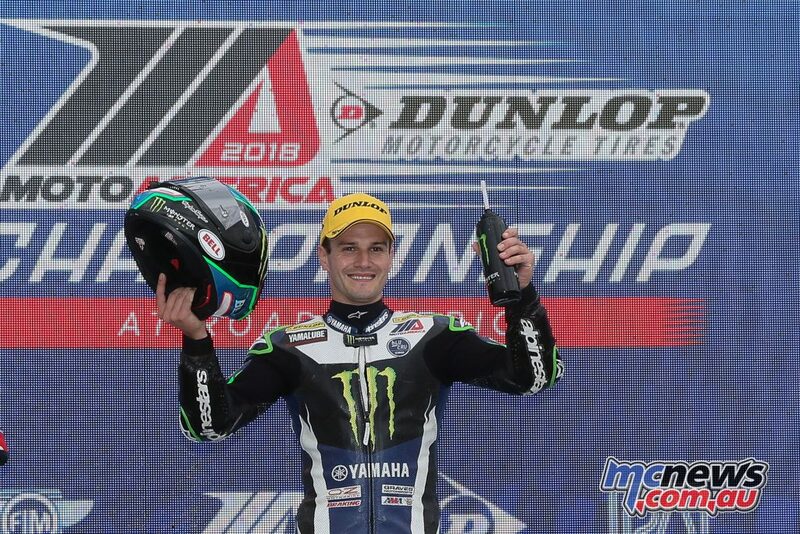 Herrin, who earned his first MotoAmerica Motul Superbike pole position earlier in the day, led the first eight laps before giving way to Beaubier. Roger Hayden also put in a day’s work today, the Kentuckian starting all the way back in 12th and on the fourth row of the grid after crashing on the first lap of Superpole. Hayden got a good start and worked his way through the pack for his second third-place finish in a row. 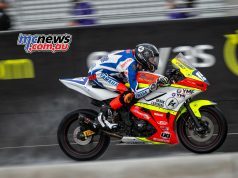 Fourth place today went to Beaubier’s teammate Garrett Gerloff, the Texan some three seconds behind Hayden and some four seconds ahead of Mathew Scholtz. Danny Eslick qualified on the front row and pushed hard in the opening laps, but eventually faded back to sixth by the end of the 23-lap race. Still, the result matched his best effort of the season. Cameron Petersen ended up seventh, racing mostly alone and finishing two seconds ahead of Jake Lewis. Kyle Wyman and David Anthony rounded out the top 10. For Elias it was a tough day at the office with two crashes both caused by false neutrals. Beaubier completed his perfect weekend in the MotoAmerica Championship of Monterey on a sunny Sunday on the Peninsula, the Californian racing in front of his friends and family to complete the two-race sweep of the Motul Superbike class at WeatherTech Raceway Laguna Seca. 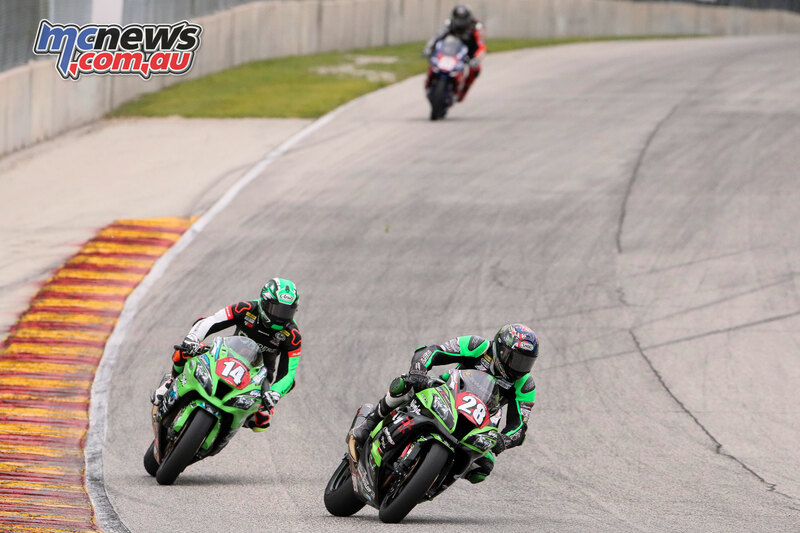 Beaubier, who lives some 150 miles away from the track in Roseville, did the double for the second straight race after also winning both races at Road America three weeks ago. He now leads Toni Elias by 29 points, 203-174, as the series heads into its second half at the Utah Motorsports Campus for round six in a month’s time. For the second straight day, Beaubier found himself in a battle with Josh Herrin, the two running in tandem for the first 19 of 24 laps. Beaubier had taken over from Herrin on the 16th lap and the Georgian was keeping him honest when he suffered a crash in Rainey Curve that knocked him out of the race. 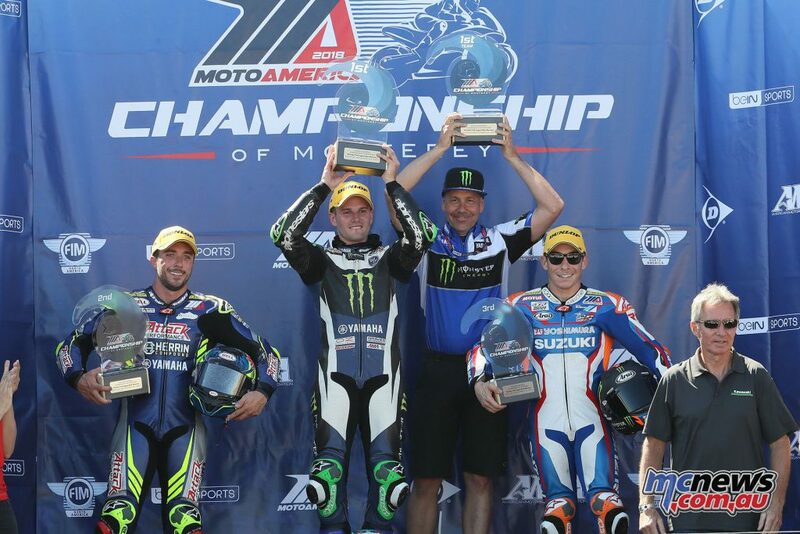 The win was the fourth of the year for Beaubier and the 28th of his Superbike career. 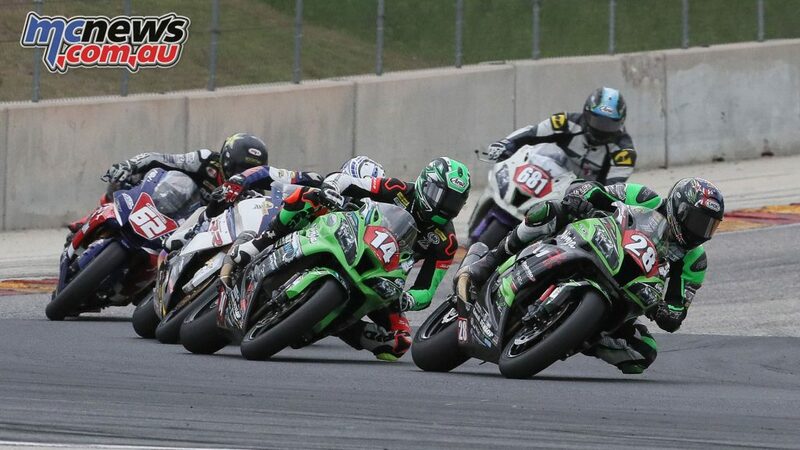 He’s now tied with former AMA Superbike and World Superbike Champion Ben Spies for fourth on the all-time list. Herrin’s blunder left the battle for second to fall to Elias, the Spaniard beating his teammate Roger Hayden to the line by .322 of a second. Elias had rebounded from several mistakes that dropped him back as far as seventh. Hayden, meanwhile, had fought through to the podium for the second straight day after starting the race from 12th on the grid. Hayden was back on the podium for a third straight race after turning his early-season blues into strong finishes. Mathew Scholtz ended up fourth after also battling for the final podium spot. Ditto for Beaubier’s teammate Garrett Gerloff, the Texan holding third for 14 laps before being caught and passed by Elias, Hayden and Scholtz. Gerloff ended up fifth. Jake Lewis finished sixth, some 18 seconds ahead of Kyle Wyman and at the tail end of the group fighting for what would be second place. Danny Eslick, David Anthony and Cameron Petersen rounded out the top 10 finishers. 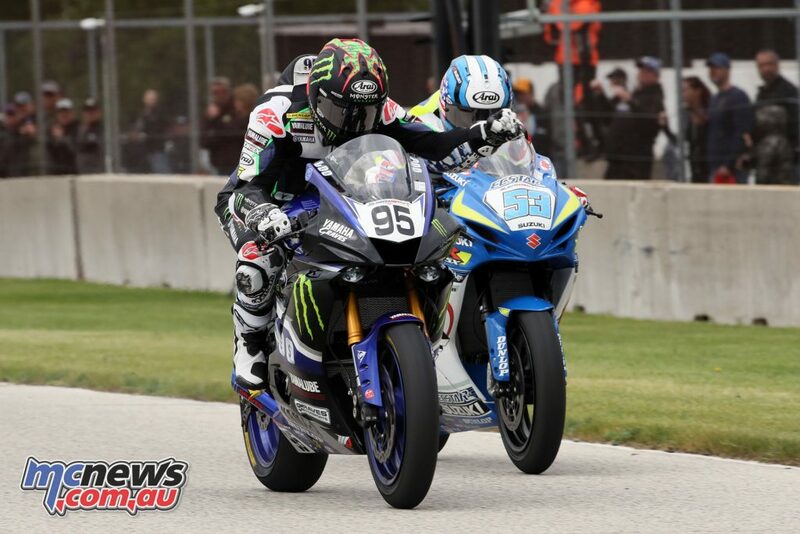 With Beaubier extending his championship lead to 29, Elias grew the gap back to Herrin third to 39 points. Scholtz is fourth in the title chase, just six points behind the non-finishing Herrin. 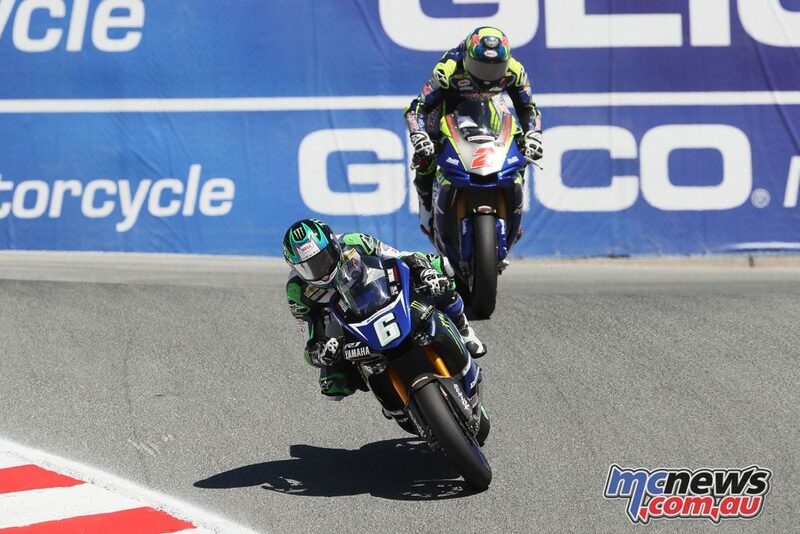 There was one Twins Cup race on the docket for MotoAmerica at WeatherTech Raceway Laguna Seca, and polesitter Jason Madama made the most of it as he won the pole on his Yamaha FZ-07/MT-07, pulled the holeshot at the start, and ran a flawless race to take the checkers by nearly nine seconds over second-place finisher and current points leader Chris Parrish, the Tennessee rider aboard his Suzuki SV650. 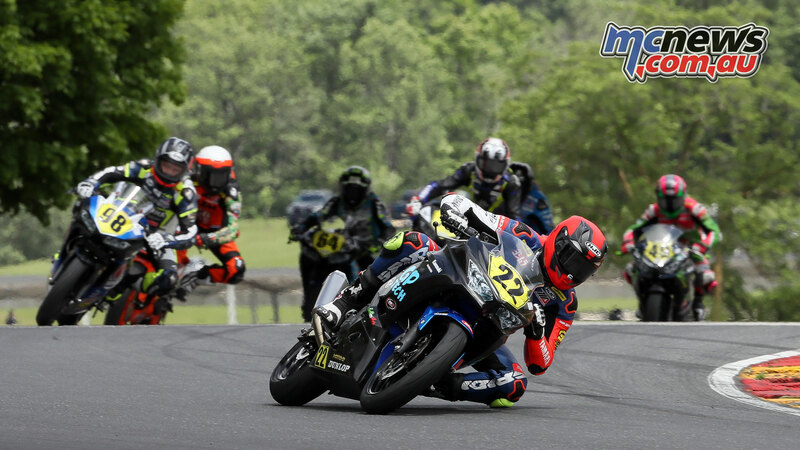 Third place went to Twins Cup series newcomer Cody Newman, who put his Yamaha FZ-07/MT-07 on the podium in his very first race in the class. 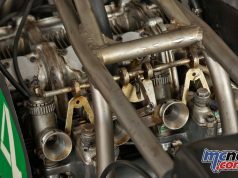 Parrish, who is four for four in podium finishes this season, continues to lead the championship but by just two points over Madama. 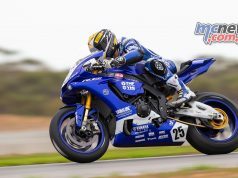 Sunday’s Supersport race, the only one of the weekend, was a tale of two battles as championship points leader and Yamaha YZF-R6 rider JD Beach diced the whole race with polesitter and Suzuki GSX-R600 rider Valentin Debise. Meanwhile, Hayden Gillim sparred aboard his R6 with Cory West. Beach got the holeshot in the race, but he could not shake Debise. In fact, the Frenchman managed to pass Beach, but it was short-lived as Beach got back past Debise and stayed there all the way to the checkers to take the win, his fifth of the season, with Debise coming home second. Third place was very much in flux until the last lap as West hung tight to the back of Gillim throughout almost the entire contest, but he crashed in Turn 5 with his bike cartwheeling spectacularly through the gravel. The weekend’s only Liqui Moly Junior Cup race was an action-filled event as the challenging layout of Laguna Seca proved to be a handful for MotoAmerica’s youngest riders. There were a total of 13 crashes in the race, which had to be restarted at one point, and a five-lap sprint to the checkered flag decided the winner. Points leader Alex Dumas rode his RC 390 R to his fifth victory out of seven races so far this season. Sean Ungvarsky, who had a tough qualifying session earlier on Sunday morning and lined up 12th on the starting grid, kept his KTM upright and took advantage of the attrition to notch his fifth podium of the season. 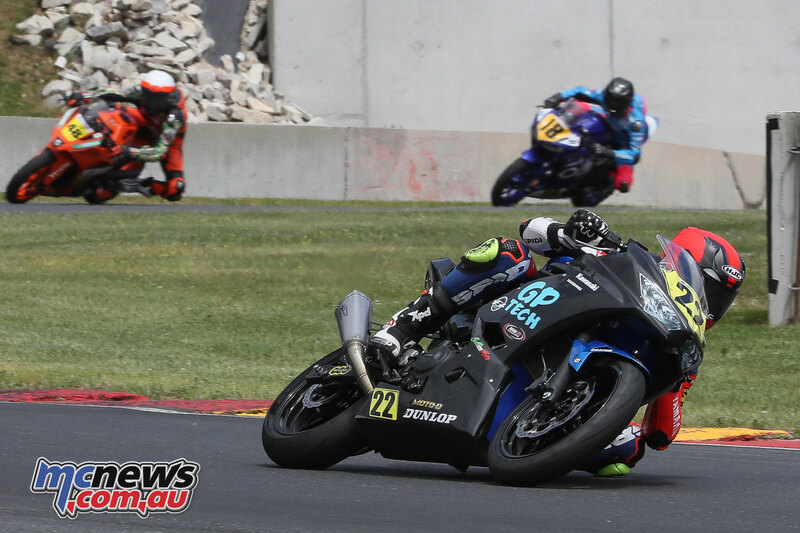 Dallas Daniels finished third on his Kawasaki Ninja 400 for his first podium result this year. Polesitter Ashton Yates, who crashed in qualifying but still started first on the grid, unfortunately crashed again in the first lap of the restarted race, and he was unable to finish aboard his Yates Racing Kawasaki Ninja 400.